“The overhead camshafts are the most direct and efficient ways of actuating the valves”. So get this: right after watching this video, we got a call (on our red “emergency” phone) from GM’s small block. He said that he’d like to contest that theory. Very last shot of the Canyon in that video shows just how badly it needs a leveling kit. 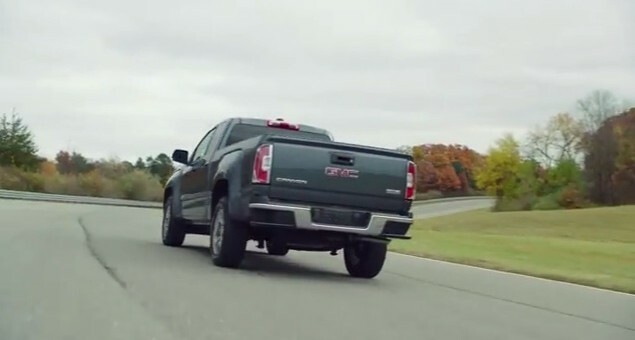 GMC Canyon is a nice looking mid size truck maybe better than Colorado…….